we are pleased to announce that online registration for the TEI Conference and Members meeting 2013 has now opened. This year’s TEI Conference is hosted at the University of Roma La Sapienza, Italy, with the support of AIUCD (Italian Association for Humanities Computing and Digital Cultures) and will take place from from 2 to 5 October. As usual the Conference is preceded by three days of workshops and tutorials from September 29 to October 2. This year’s theme is: The Linked TEI: Text Encoding in the Web. The programme includes keynote lectures by Allen Renear (professor and interim Dean at GSLIS) and Marie-Luce Demonet (professor of French Renaissance literature and director of the Maison des Sciences de l’Homme Val de Loire), parallel sessions of papers, the annual TEI business meeting, a poster session/tools demonstration and slam, and special interest group (SIG) meetings. 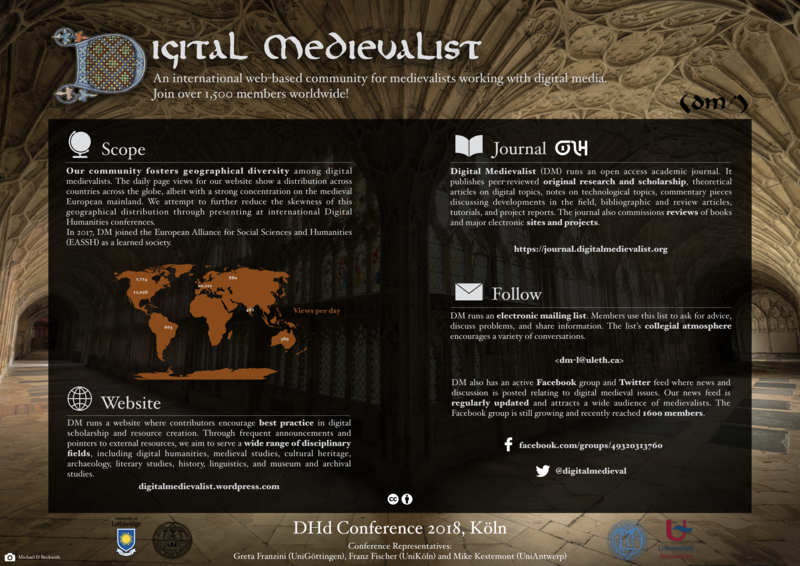 Details about the programme, as well as infos about accommodation and local attractions are available in the Conference website at http://digilab2.let.uniroma1.it/teiconf2013/. We hope to meet you all in Rome! The Folger Shakespeare Library (Washington, D.C.) hosts a two-day, international conference to explore new tools for the study of English and Continental bookbinding and share new scholarship in the materiality of the book. Fifteen scholars from seven countries present papers on different aspects of bookbindings, and four international experts conduct workshops exploring new tools and instruments for the study of early modern bindings. New Bownde: New Scholarship in Early Modern Binding marks the culmination of a two-year project to build an online database of binding images from the Folger collection. The conference is preceded by a unique, free of charge workshop on Wednesday 14 August 2013 about “digital rubbings” of early modern bookbindings. Posted by: Timoty Leonardi (timoty.leonardi@tesorodelduomovc.it). La partecipazione al seminario è gratuita. Per l’iscrizione compilare il modulo online al sito web http://www.arc.unito.it. È prevista la pubblicazione online degli atti con accesso libero. A richiesta, gli studenti e dottorandi di ricerca dei Corsi di Laurea in Scienze dei Beni Culturali o affini potranno ricevere un attestato di frequenza alla giornata da presentare alle loro Università per il rilascio di crediti formativi. The number of historical documents which are available in digital form has dramatically increased throughout the last five to ten years. Consequently, there has also been a significant growth in the development of computerized tools for the support of the analysis of such documents. The project “Script and Signs. 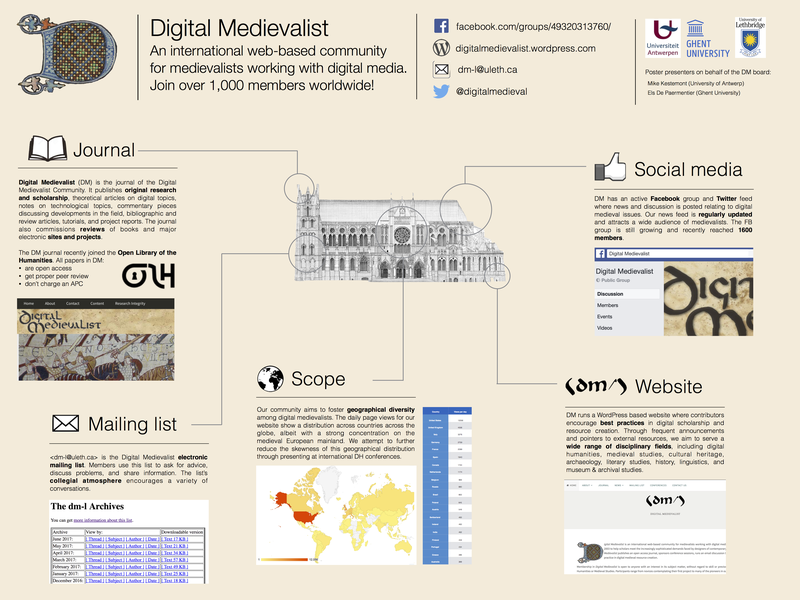 A Computer-based Analysis of Highmedieval Papal Charters. A Key to Europe’s Cultural History”, which is funded by the e-humanities initiative of the German Ministry of Education, therefore organizes a international symposium. The aim of this symposium is to bring the world’s leading experts on historical document analysis from a diverse set of fields, such as Pattern Recognition, Computer Vision, Medieval History and Auxiliary Sciences of History together. This inital point provide a compilation of results of single projects in order to focus on them in the future. Posted by: Viktoria Trenkle (Viktoria.trenkle@gesch.phil.uni-erlangen.de). Despite twenty years of constant developments in the digital humanities field and, in particular, the decisive progress made by the MUFI, the encoding of ancient scripts is still extremely problematic. With a view to gaining a comprehensive view of the current situation and future perspectives, the CESR (Centre for Advanced Renaissance Studies, Tours) and the IRAMAT (Institute for Research on Archaeomaterials, Orleans) jointly propose to bring together diverse specialists (researchers in literature, the humanities, social science; professionals working in libraries and museums, as well as in the graphic arts and computing) for a two day study session programmed to take place at Tours (France), on the 21st and 22nd May 2013. Posted by: Jimenes, Rémi (remi.jimenes@univ-tours.fr).